Jon Coen talks us through five essential feelings of surfing, the shared ecstatic experiences and sensations that surfers all over the globe can relate to. Maybe it was that quick, sandy, cover up that you doggy-doored this morning at your local beach break. Maybe it’s a long, overhead, crystal tube you navigated on the trip of a lifetime to that remote reef pass. Barrels stick with us. Yeah, surfing has a corny side. Just look at the millions of megs of GoPro footage on Facebook. It understandably sounds a bit lame when we describe that barrel as being “encased in nature,” but that’s really what it is. Wave energy travels thousands of miles and we sneak into the very vortex at their crescendo. Airs are not in everyone’s repertoire, but most agree that they’re both stylish and functional. The air revo is bread and butter for professional free surfers, but what about the rest of us? Well, we’re not talking about sticking 4-foot slobs every session. Your flyaways, credit cards, and chops hops are all part of the exhilaration of attempting to leave the wave face. “It’s just so fun,” says Brad Gerlach, who has played a role in every part of surfing from expanding pro surfing beyond the ASP parameters to big wave pioneering. Now at the age of 48, he’s writing a book on surf coaching. It’s somewhat understandable to resist riding one, because let’s face it, an overwhelming percentage of bigger sticks are owned by people who occasionally put their leash on the wrong leg. But that doesn’t mean that noseriding, cross-stepping, drop-knee turns, and stylish trim, aren’t timeless skills. Those of us who primarily ride shortboards spend the majority of our time trying to generate momentum – pumping, gyrating and wiggling to go faster. Hence, the sensation of attaining greater speed by merely shifting our weight is a novel one. 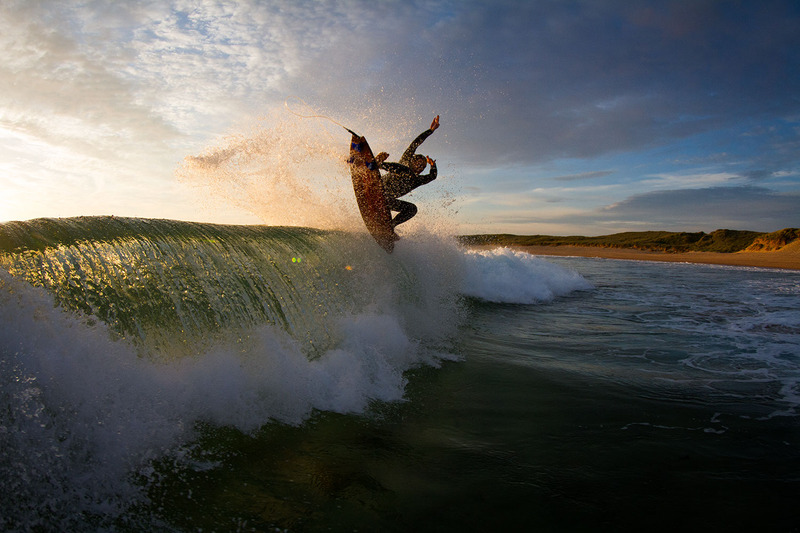 Yes, surfing is, at its core, an individual sport, bordering on selfish. We evaluate our performance by how many waves we get and how well we ride them, yet waves are a somewhat limited resource. But like unconditional love for your own family, sometimes that “Yeeeeoooooowww,” from the shoulder is all your mate needs to give one more stroke. “Some surfers have learned that surfing, like life, is improved when shared with special people,” explains psychologist, Bill ‘Doc,’ Rosenblatt, who was recently invited to the Legends Surf Classic in Rincon, Puerto Rico. Unless your friend is on a SUP. Don’t encourage that shite. A good bottom turn is a thing of beauty. This simple arc is among the most basic things in all of surfing. So why do we value it so much? 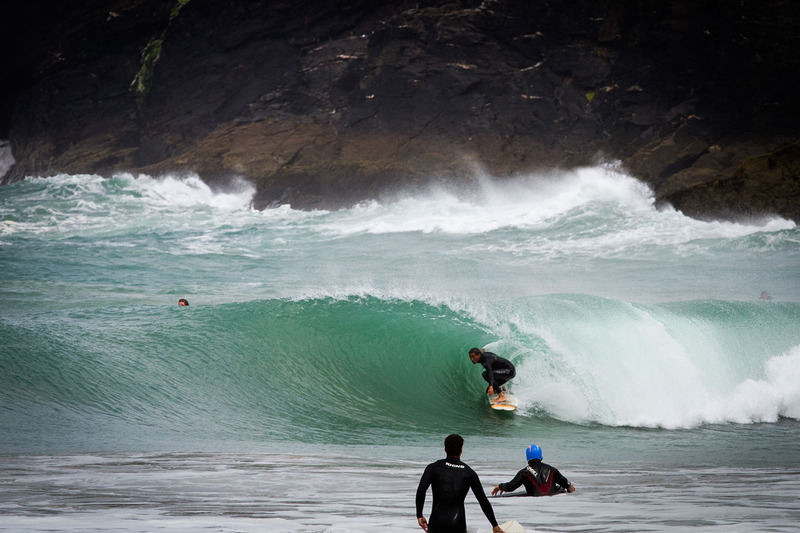 It could be that like pitching barrels or rippable lines, we don’t get the opportunity to do this one all the time. For most of us, the majority of the waves we catch, are not ideal. More often than not, we are taking some kind of angle into the face of a wave to either beat the section of a closed out wave, or to generate immediate speed on a lackluster face. Bottom turns slow you down, but therein lies the beauty. When taking off on a wave that has enough juice and shape, we can afford to go straight to the bottom. We can lift that inside rail, stomp on the tail and use that force to put ourselves in just the right spot. And that will never get old.